For the littles who love to dress up their fashion dolls, this Sweet Dreams mermaid doll tail set is simply that—dreamy! Set includes a tail and top in fade-resistant fabric. Doll not included. When kids want their dress up their dolls to match their mermaid outfit, this mermaid tail set featuring our Sweet Dreams Limited Edition fabric sets the scene for an exciting playtime experience! 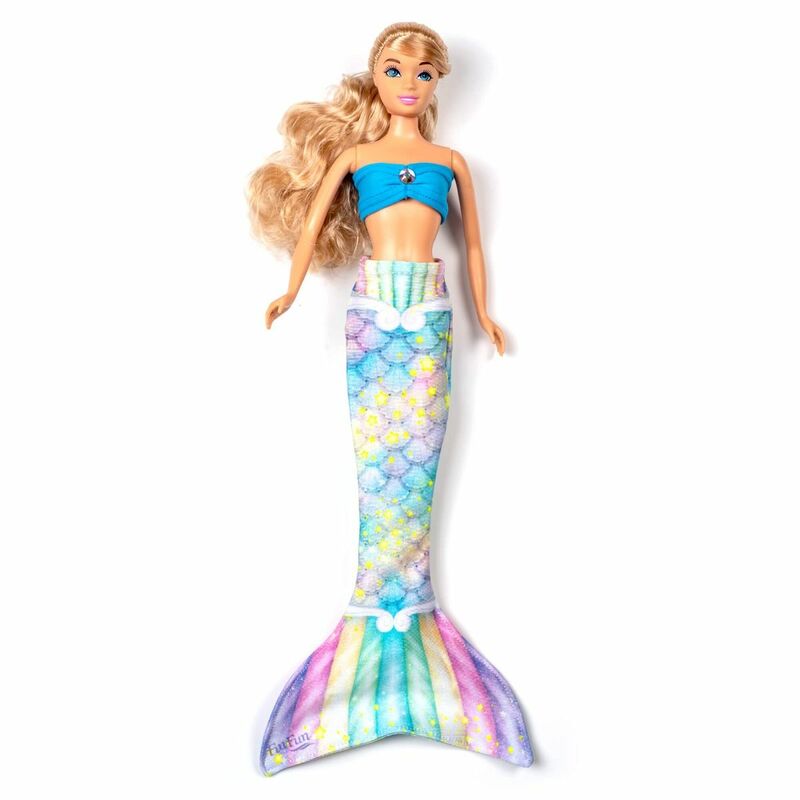 Sweet pastel scales will delight any child who dreams of the mermaid life with her doll by her side. Children will feel the magic mermaids bring to play dates or any occasion that inspires them to dream with their favorite 11.5-inch doll.